The greatest products and services require the best team behind them, otherwise it can be difficult to operate the business successfully. But even if you’ve hired the best, it is important to maintain the level of their skills paying attention to their training, development, and motivation. Employees that are constantly learning and improving expertise in their profession can stay at the top of the game. Traditionally, most workplaces carry out the majority of learning and development through various training courses, workshops and seminars with a teacher or instructor. 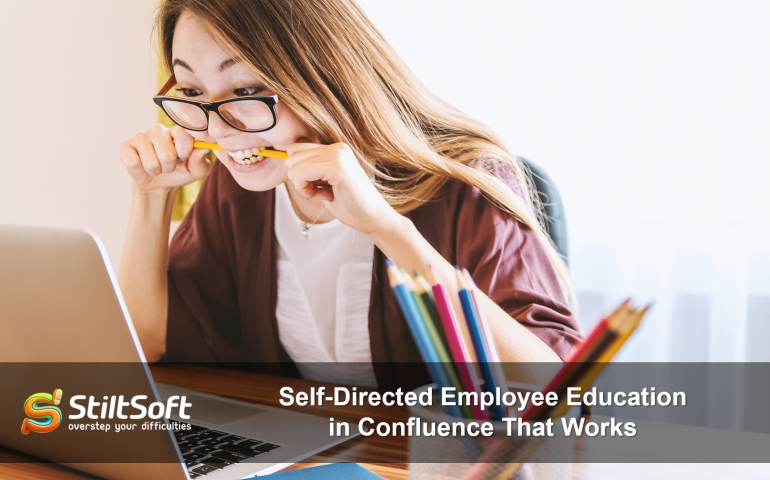 These days, less traditional methods of knowledge sharing gain in popularity – we are talking about self-directed education (SDE) when people develop their skills on their own pace. They can choose to study in a quiet room or in a shared space. They can choose to work with a partner or independently. They can choose what they want to learn searching for the appropriate training course. Encouraging SDE in Confluence gives your employees opportunity to take courses at their convenience building the education program themselves with the help of the courses a learning administrator created in Confluence. This freedom of choice allows employees to maintain a balance between feeling comfortable and trying new things. In this blog post, you will discover how to build the foundation of a successful self-directed employee training that will provide your team with lasting results. We will show you how to turn your Confluence into a place where you can store courses and quizzes to train or educate your team, employees, or customers with the help of Courses and Quizzes – LMS for Confluence. Previously, we told you how to create education courses right in Confluence. As a learning administrator, you can create a training course using videos, GIFs, images, PDF files, and more to diversify the content. The app allows you to populate courses with useful training modules and tricky quizzes. 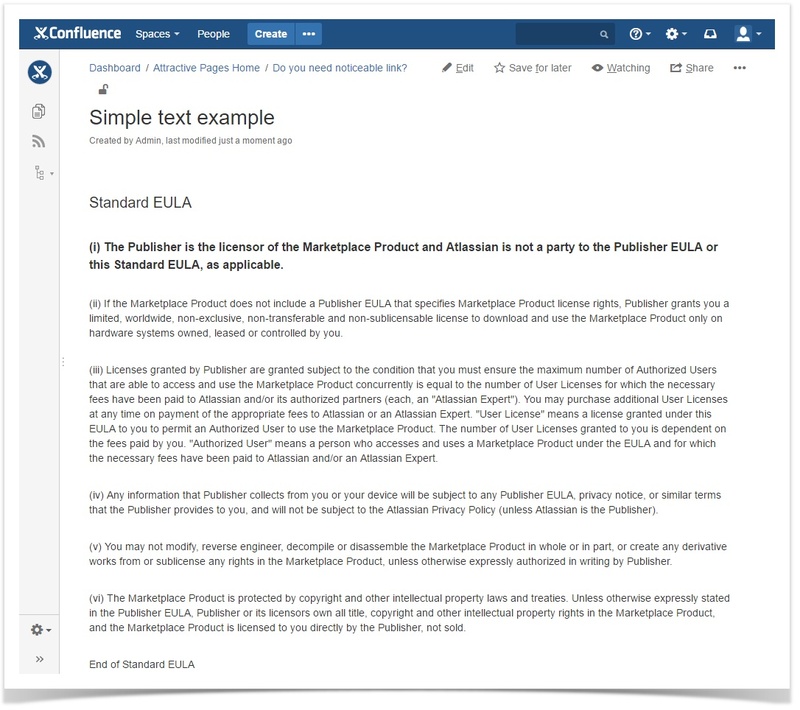 You can even reuse materials from other courses or take advantage of your existing Confluence pages’ content. So once you have created a new training course, you need to fine-tune it and make it accessible for your team. 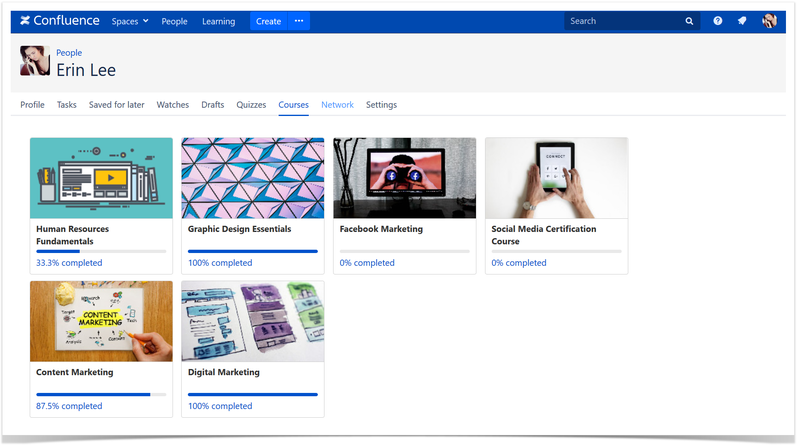 Now you can easily categorize your course, upload the featured image that illustrates the main idea of the course, briefly describe it, and add it to the Learning catalog (available in the Confluence header menu). Now users can access the Learning catalog in one click, browse through all the categories and self-enroll into the course they want to take. Moreover, you can track all the courses you were enrolled to. You can access the list of your active courses clicking your profile picture and choosing the Courses tab. This way you can continue from where you stopped last time or review the information you already know. view their answers to the embedded quizzes quickly switching between users. Remember that your employees are an investment in your business. So it is important to support them and help them enhance their skills. 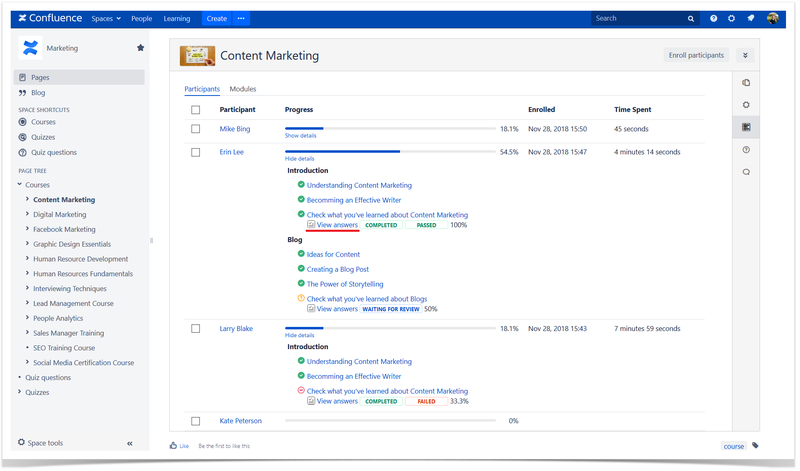 Try Courses and Quizzes – LMS for Confluence for free to keep your team up to date with relevant skills and offer new hires a smooth and simple onboarding. This app will help you contribute to building a learning culture in your company providing your employees with limitless training opportunities right in Confluence. You can check the sample training courses and try them either as a participant or as an administrator. You can also use our demo site to try out this app and discover its features with no need to install it. If you have any questions, feel free to comment on this blog post.